As part of the Barnardo’s Retail team, I thought it was about time I got out of the office to see for myself the delights that can be found nestling amongst the rails of our stores. Flanked with our Marketing Manager Charlie, I hit the streets of Dunfermline, Dalgety Bay, Edinburgh and Glasgow to source my very own #MyBarnardosFinds! Now, I’m a massive collector of brooches. I literally can’t get enough of them and our stores are absolutely teaming with them. Always take a peek in the glass cabinets as that’s where you’ll find the best ones in all sorts of shapes, colours and sizes and all at around £1.99 each. Here are three that I used to jazz up a plain black winter coat. 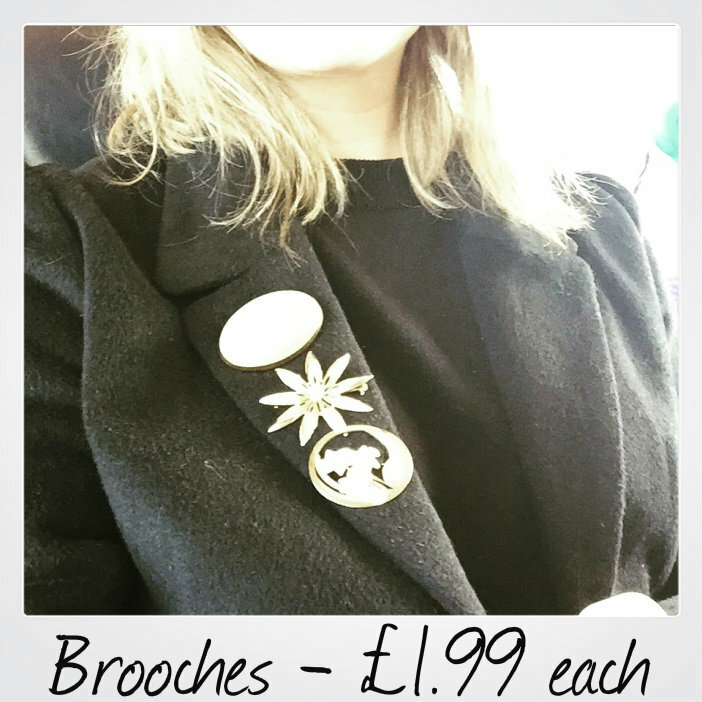 Out of the stores we frequented, Edinburgh provided me with my biggest bargains. Our Stockbridge store is jam packed full of amazing knits, vintage bits and a generally classy offering. 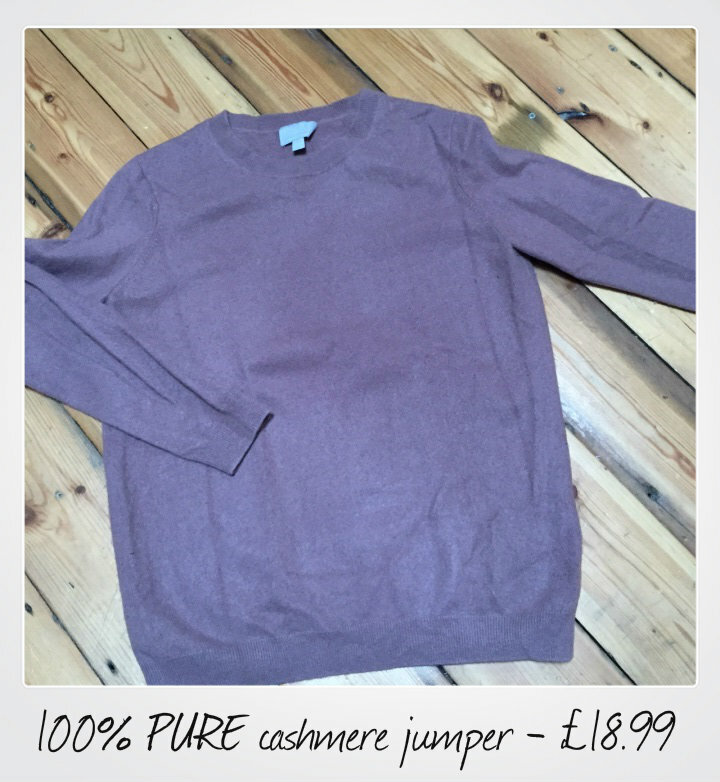 After putting together some outfits for our fabulous Instagram feed, (@BarnardosRetail for those who don’t already follow us) I fell in love with this beautiful camel 100% PURE cashmere jumper. An absolute steal at only £18.99! It then seemed rude not to compliment it with these suede and faux fur Tods (£5.99) for that sought-after preppy/geek-chic look. 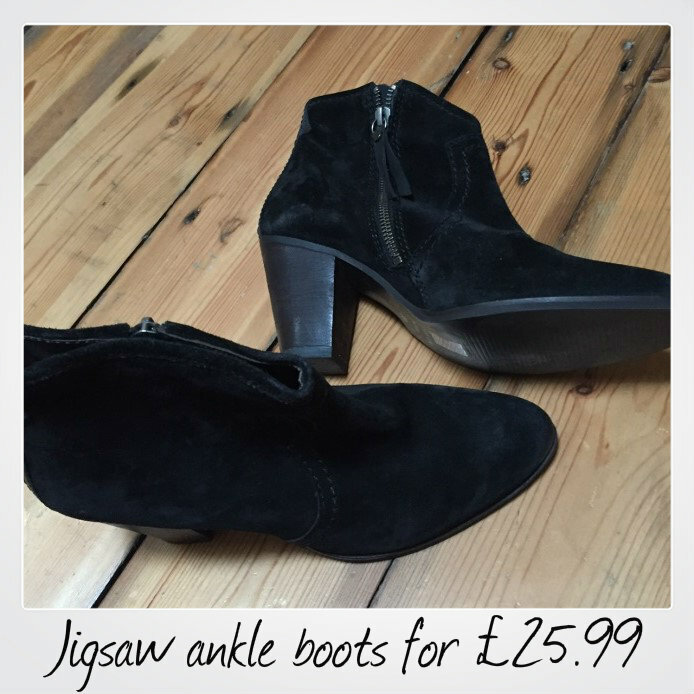 The icing on the cake was finding this pair of brand new suede Jigsaw ankle boots for £25.99 which I’ll be pairing with some bright skinny trousers for that ’Shoreditch’ effect. I’m sure everyone can imagine the comedic moment when we attempted to fit everything into cabin luggage on the uber-strict budget flight home! Our visit really re-instilled how fantastic our stores are. They literally are treasure troves of wonderful items just waiting to be found and loved by a new owner. 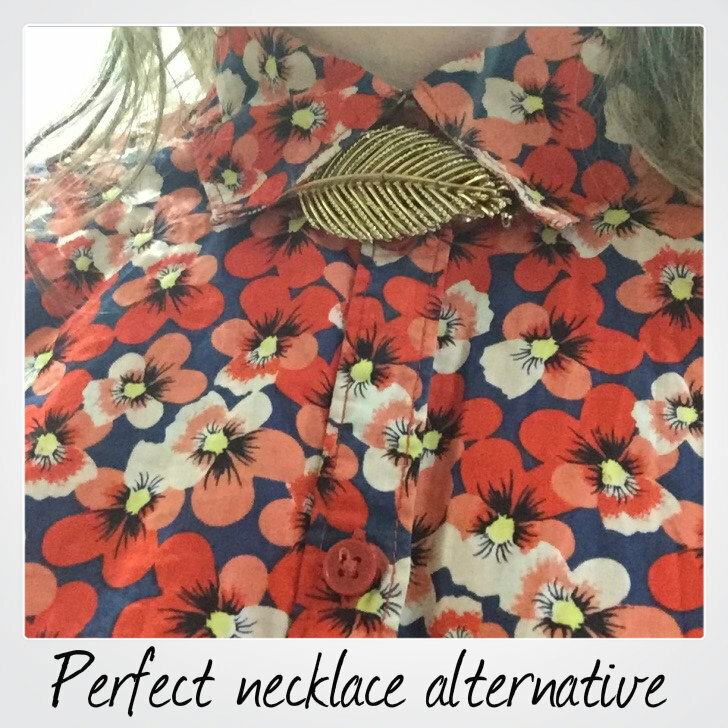 Find your fashion faves and let us know about it by tagging us on Instagram @BarnardosRetail and using #MyBarnardosFind.